Social Finance Israel What are SIBs? 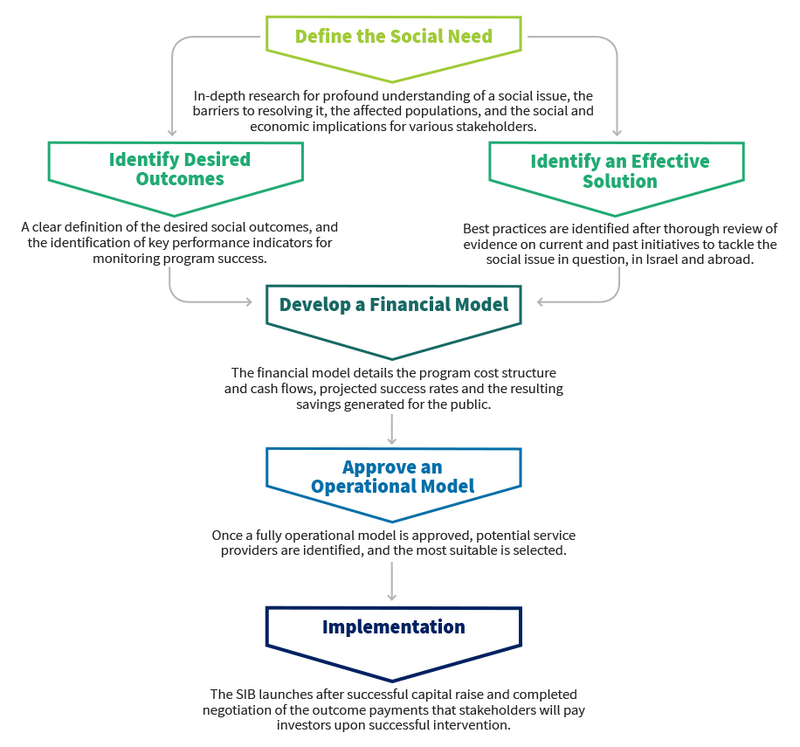 A Social Impact Bond, also known as the Pay-for-Success model, is a groundbreaking approach to financing effective social programs. In essence, the Social Impact Bond is a performance-based contract between social service providers, investors, governments and other stakeholders. This contract stipulates that capital invested in a specific social service program will be returned to investors by the government, or another stakeholder, only if predetermined social outcomes are achieved. These contracts are based on the work of SFI and contracting parties to quantify the economic value of resolving a social need, define how positive outcomes will be measured, and launch an effective intervention program. Ultimately, investor returns are generated in accordance with the rate at which the service program achieves predetermined outcomes. This innovative model has ushered in new sources of private capital, mobilizing it towards solving social issues, achieving positive social outcomes and generating value for the public sector. Program beneficiaries participate in a program that aims to substantially improve their quality of life. If the program is successful, it is scaled to ultimately impact vulnerable populations nationwide. Government agencies are able to pilot innovative social interventions without bearing any financial risk. What is more, the promotion of Social Impact Bonds shifts government bodies towards implementing outcomes-driven programs. NGOs and service providers receive secured funding, allowing for greater focus on effective service provision. SIBs afford social organizations with a new source of capital, one which is more conducive to scale. Impact Investors have the opportunity to deploy capital towards solving social issues while simultaneously generating financial returns. 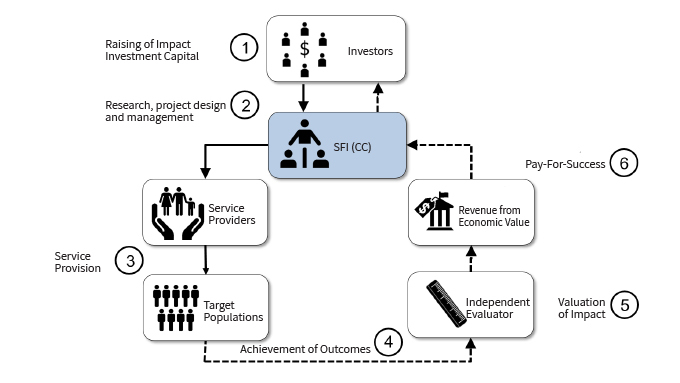 The Social Impact Bond vehicle finds mutual benefit for investors with different risk profiles, recruits an assortment of service providers for comprehensive interventions, pools sufficient resources to make social initiatives financially viable, and provides governments with critical insight and flexibility for effective performance management. In the end, society is uplifted by the shared value of measurable outcomes. Do you have an idea for a Social Impact Bond?